Power In Numbers (PIN) combines a love of art with philanthropy for our biggest event of the year! 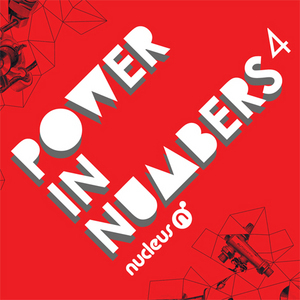 Our 4th Annual Power in Numbers (PIN4) event aims to be more epic than ever as we invite artists and illustrators from all backgrounds, industries and aesthetics to take part in creating art for a cause. Having been consistently well received in the past, the PIN exhibit features over 100 international and local artists creating 5" X 7", 2-dimentional, original artwork in the desired medium and theme of their choosing. Each artwork piece will be priced at $100.00 and a selection of artworks will be auctioned. A portion of the night’s sales will benefit the American Red Cross (San Gabriel Pomona Valley Chapter) on emergency response efforts. Please check back for more participating artists & bidding instructions! 1. Starting at 6 pm, attendees will be given a numbered ticket form the door. The first 50 people will be allowed into the gallery at 7 pm. We will allow more people to enter sequential order as space permits. Those waiting to enter the gallery can browse the store in the meantime. 2. Upon entering the gallery, select the piece(s) you want to purchase and write your ticket number on the label(s): "Sold to Ticket Number:____" located below the piece. Each person may purchase up to 5 pieces. To secure your selection, it is very important to write your number under the piece(s) you intend to purchase and pay for them immediately. We accept cash and credit. Do not cross out anyone else's number. 3. Record your name, contact info, and the name of the piece that you intend to purchase in the spaces provided on the ticket. Simply hand us this form when you are ready to pay for your piece(s). 4. Once the show concludes, Nucleus will contact all buyers to arrange for artwork pickup. No artwork will be released without full payment.